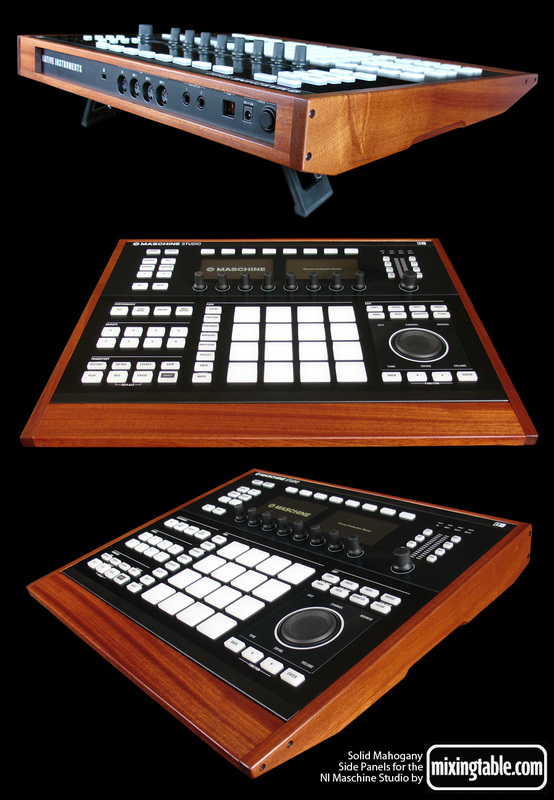 This solid hardwood panel set designed by Mixingtable.com is undoubtedly a beautiful addition to the Native Instruments Maschine Studio. 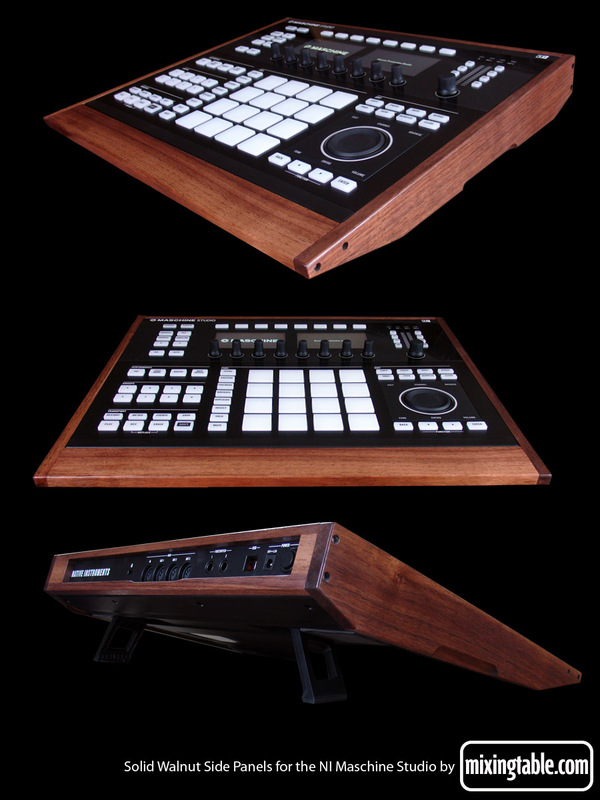 Pictured below is an example of the panel set in Walnut. We make everything to order. Estimated time between payment and shipping 6 weeks. Installation is simple and should take a few minutes. Included in the package are 8 Torx screws for mounting the panels that will require a T10 Torx bit. Press fit the two side panels into the recesses on the side of the Studio, and mount the back and front panels between them using the supplied screws. The above pictures are only meant as examples. The actual color you receive will depend on the natural color of the Mahogany or Walnut we have in stock at the time you order. The panels are finished in semi-gloss natural oil.